In June, Design 4 Active Sacramento, WALKSacramento’s health in the built environment advisory committee, held a successful convening of the region’s public health officers, planning directors, and other community development partners to collaborate around designing healthier communities. We were thrilled to have participation from the planning, public health, private health care, and non-profit hospital sectors as well as representatives from local, regional, and state agencies. We were especially lucky to have representation from offices of local elected officials, including Congressman Ami Bera. 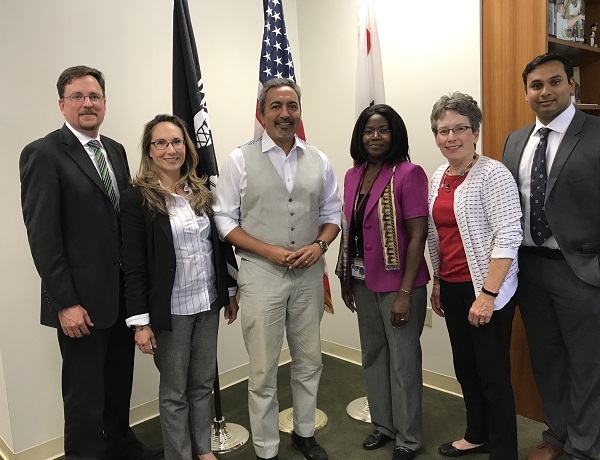 This August, D4AS was invited to meet with Congressman Bera, a physician himself, to share the work that we are doing around building healthy communities. In preparation for our meeting, D4AS created several educational materials about health and the built environment, including this fact sheet. During the meeting, members of D4AS discussed the role of the built environment in creating health in communities. Communities that encourage and facilitate walking, biking, and taking transit are crucial in combating and preventing the costly chronic diseases that are so prevalent in Sacramento communities. We also discussed other co-benefits of Active Design including mental and emotional health, stronger local economies, and a reduced dependency on motor vehicles. Finally, we turned our attention to relevant opportunities to support health and the built environment work including investments in Safe Routes to School programs, design that follows an 8-80 approach, and embedding healthy communities language into federal transportation initiatives, similar to our work in Sacramento County. 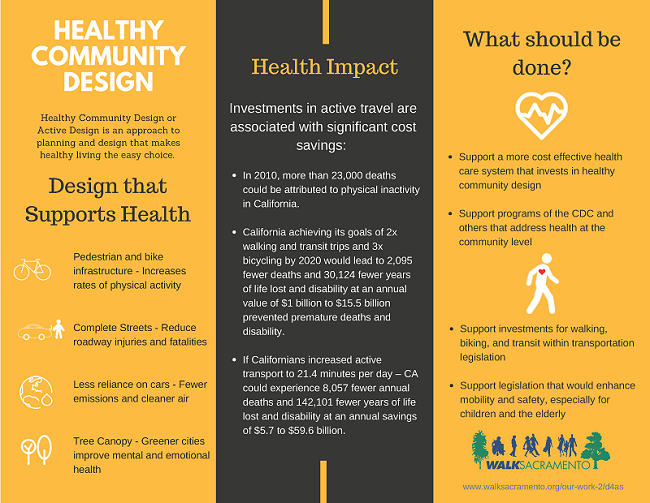 Design 4 Active Sacramento will continue to serve as a resource to Congressman Bera, especially as opportunities to address health impacts within planning and community development efforts become available. See below for some of the materials we shared with Congressman Bera.